Oggi inizia un nuovo challenge su Create and Inspire ed il tema è come sempre "Anything goes", "Tutto và bene"! Fantastico, vero!? New challenge at Create and Inspire today, and the recipe is "Anything goes"! It's fantastic, isn't it!? 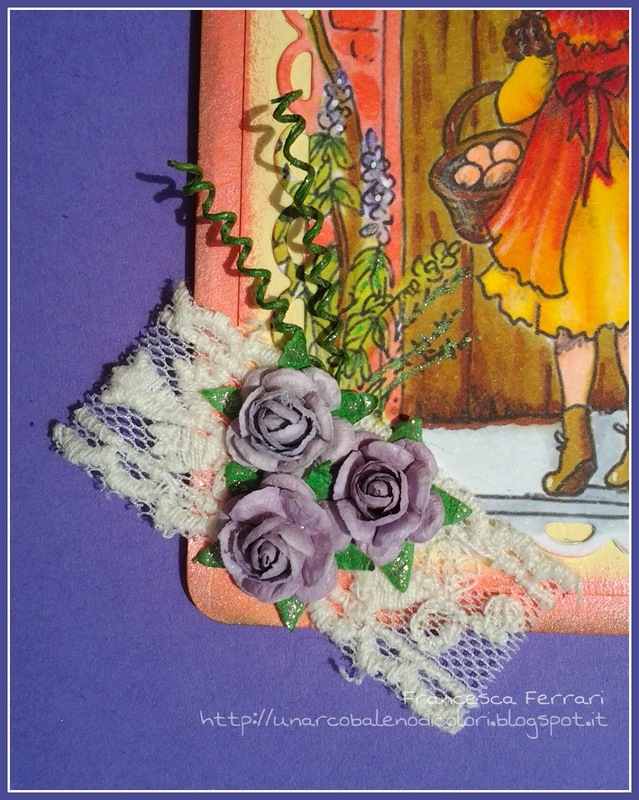 Per creare questa tag ho utilizzato i miei adorati Gelatos (Faber Castell) per lo sfondo, piccole mezzeperle avorio, Wink of Stella per un tocco luccicante, roselline ed un nastro vintage di Marianne Design e delle farfalle Sizzix. 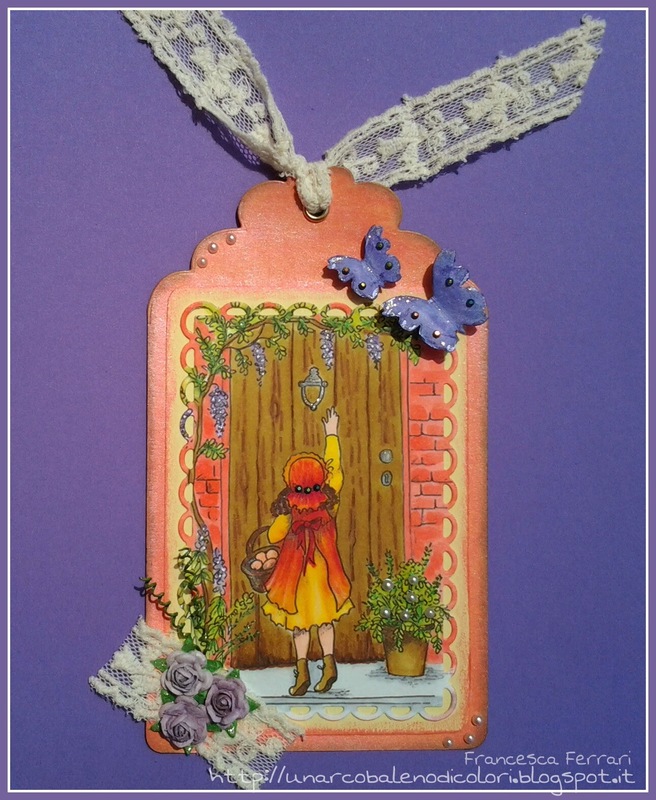 To create this sweet tag I used my beloved Gelatos (Faber Castell) on the background, little ivory pearls, wink of Stella, roses and a vintage lace from Marianne Design and butterflies from Sizzix. Francesca, this is beautiful and so delicately colored. Thanks for joining us at 613 Avenue Create and I hope you'll join us again soon. Pretty tag in lovely colours Francesca, all so perfectly coordinated. Hope you have a good Thursday and thank you for joining in at Allsorts challenge. This one is really very romantic. Lovely colours and details. Thanks for playing with us at Inspiration Destination. Hope we see you again and good luck. Adorable project, thank you for playing along with us at Allsorts this week! Such a cool tag! Nice image and beautifully colored! Thanks for hanging this on our front door here at 613 Avenue Create!